The National Football League is a multibillion dollar business entity. It’s about as ruthless as any business in the world, and for many employees — the league’s players included — life in the NFL can be very short-lived. This is exactly why numerous people believe the acronym NFL actually stands for “Not For Long.” The reality of the situation is that the only people with legitimate job security in the most popular professional sports league in the United States are the owners of the NFL’s 32 franchises. Unlike the NBA and MLB, the NFL does not fully guarantee contracts for its players. This somewhat sad reality makes professional football players far more easily expendable than professional basketball and baseball players. The only players who have real long-term security in the NFL are those who are in the early stages of a contract with eight figures’ worth of guarantees. Once players get toward the end of these types of contracts, and the guaranteed portions of their contracts have already been paid out, these athletes are suddenly disposable again. While several NFL players have signed contracts close to, or in excess of, $100 million, the fact still remains that the teams hold all of the power over their players and often renegotiate or restructure contracts before players get anything close to the total value of the contracts they sign. In the NBA or MLB, on the other hand, the players who sign massive extensions almost always see every dollar written into the contracts they sign. While there have been some big-name players who have felt the sting of being cut over the course of their NFL careers, it’s actually extremely rare to see a team outright release an All-Pro caliber player. Releasing a player who is considered to be a team’s “face of the franchise” is never an easy decision and can have a negative effect on the team’s success for years to come. With that being said, due to a combination of the inflating salaries of NFL players and a hard salary cap, we have seen a handful of All-Pros and future Hall of Famers get cut in recent years. Here is a look at five players who have been cut in the last five years that are/were truly elite players at their positions in the NFL. 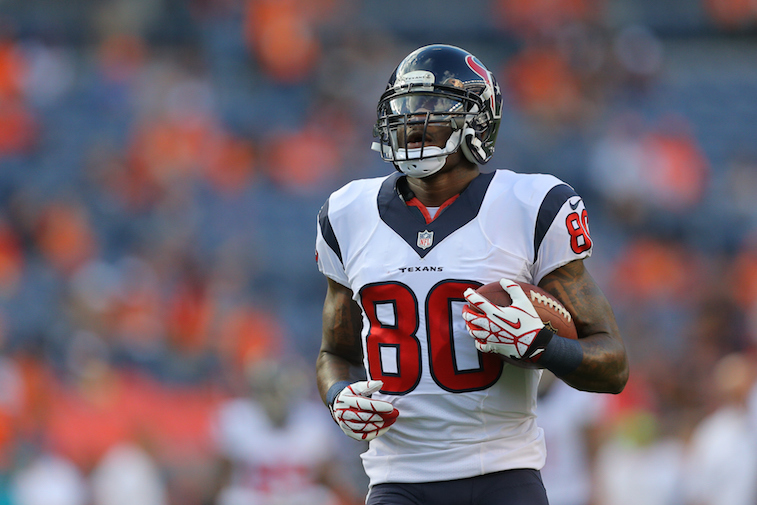 Prior to signing with the Indianapolis Colts this offseason, Johnson had spent all 12 of his NFL seasons with the Houston Texans. During that time, the former Miami Hurricane was consistently one of the best wide receivers in the league and put up huge numbers despite playing with several mediocre quarterbacks. He had five seasons with 100 or more catches, six seasons with 1,000 or more receiving yards, and caught a total of 64 touchdown passes. Johnson will likely end up being the first player in Texans’ franchise history elected into the Pro Football Hall of Fame when he hangs up his cleats, but even that wasn’t enough to keep the 6-foot-3 wide receiver off the chopping block. Playmakers like Jackson are hard to find. That’s why it was a shocking move when the Philadelphia Eagles chose to release the then 27-year-old wide receiver. Jackson was coming off his best season as an NFL wide receiver in 2013 and had proven to be one of the most dangerous punt returners in the league earlier in his career. In his six years in Philadelphia, Jackson had 356 receptions, 6,117 receiving yards, 32 touchdown receptions, and returned four punts for touchdowns. 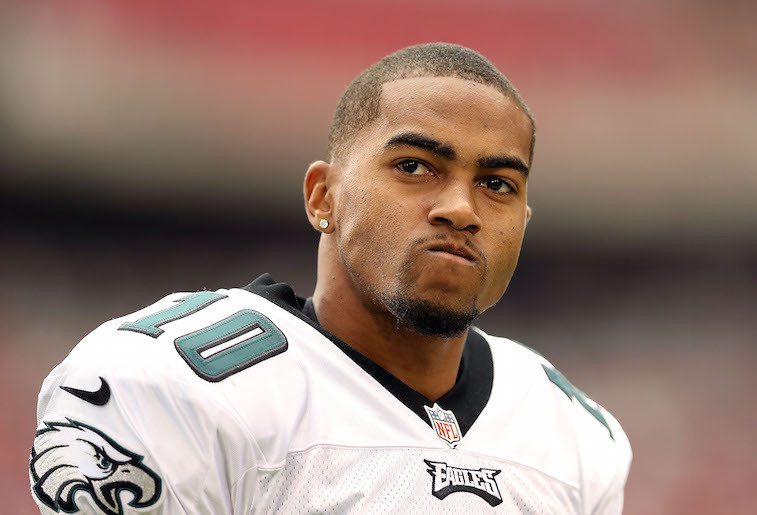 Nonetheless, Eagles head coach Chip Kelly felt that Jackson wasn’t a good fit with the culture he was trying to instill in his team and chose to release the explosive wideout on March 28, 2014. Jackson now plays for the Washington Redskins, one of the Eagles’ biggest divisional rivals. Bailey is one of the best cornerbacks to ever play in the NFL and is a lock to be a first-ballot Hall of Fame selection. The Denver Broncos acquired Bailey in a blockbuster trade with the Washington Redskins in 2003 that sent running back Clinton Portis to the nation’s capital in exchange for Bailey. The former Georgia Bulldog played five seasons in Washington and then 10 in Denver. 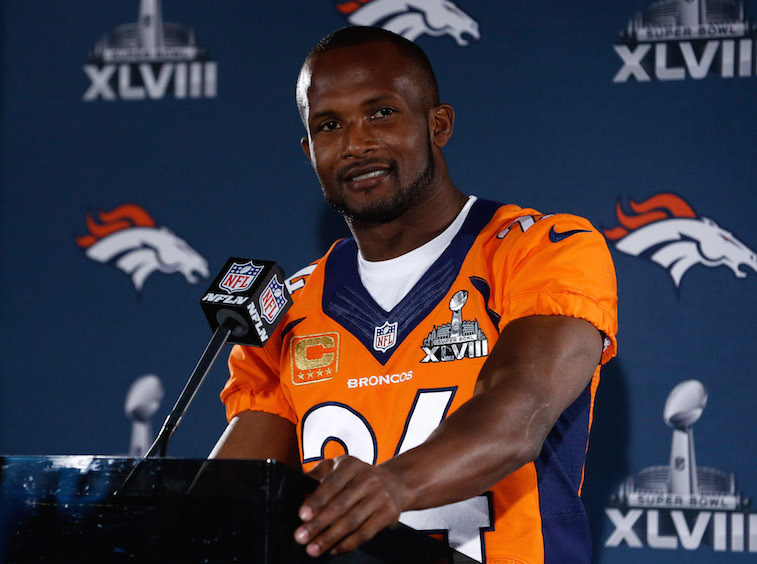 The Broncos chose to release Bailey following the 2014 season, which included a blowout loss to the Seattle Seahawks in Super Bowl XLVIII. Bailey was convinced that he still had some mileage left in his legs and chose to sign with the New Orleans Saints, but the six-time All-Pro was released again before the regular season kicked off. He has since retired, but the fact that a 12-time Pro Bowler can be kicked to the curb so nonchalantly is a brutal reminder that the NFL is a cutthroat business. Revis is arguably the best cornerback in the game today. He is a game changer with the ability to shut down the game’s best wide receivers. The 29-year-old cornerback is a franchise-changing player, and his play was a big reason why the New England Patriots were able to win the Super Bowl XLIX title. 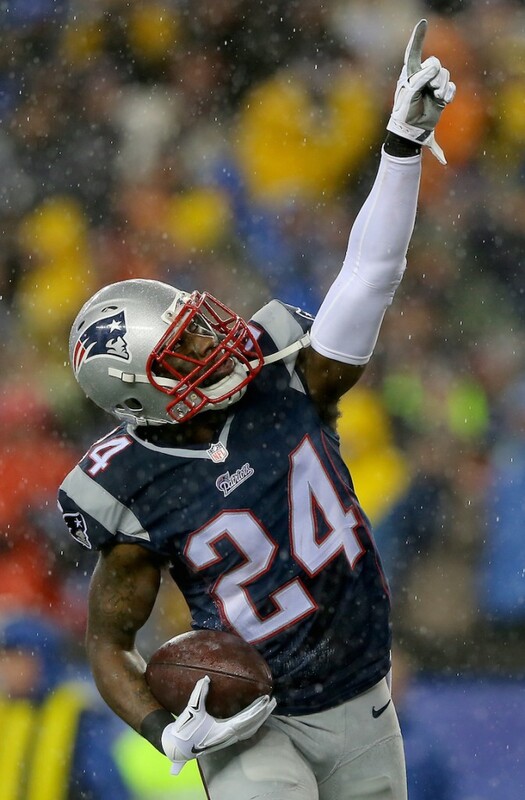 As odd as this may sound, the Patriots released Revis in early March. The move was due to salary cap complications, but what is even more shocking is the fact that it was Revis’s second time being released in two seasons. Almost exactly a year earlier, the Tampa Bay Buccaneers released the four-time All-Pro, opening the door for him to sign with the Patriots. He has since signed a five-year, $70 million contract with the New York Jets, the team he began his NFL career with. Seeing an athlete like Revis get released twice while he is still in his prime shows that no player has complete job security in the NFL. 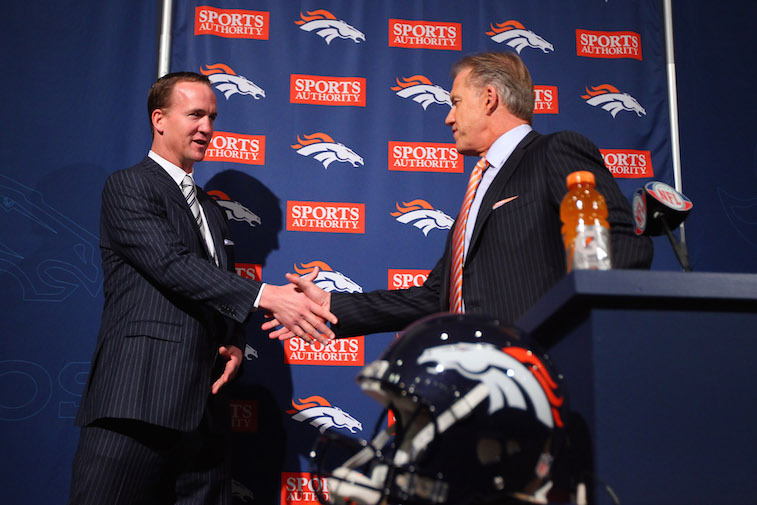 If Peyton Manning isn’t immune from getting cut, then practically nobody in the NFL is safe from the axe. Manning will likely go down as statistically the best quarterback to ever play professional football, and he is almost single-handedly responsible for the Indianapolis Colts getting a new stadium in 2008. 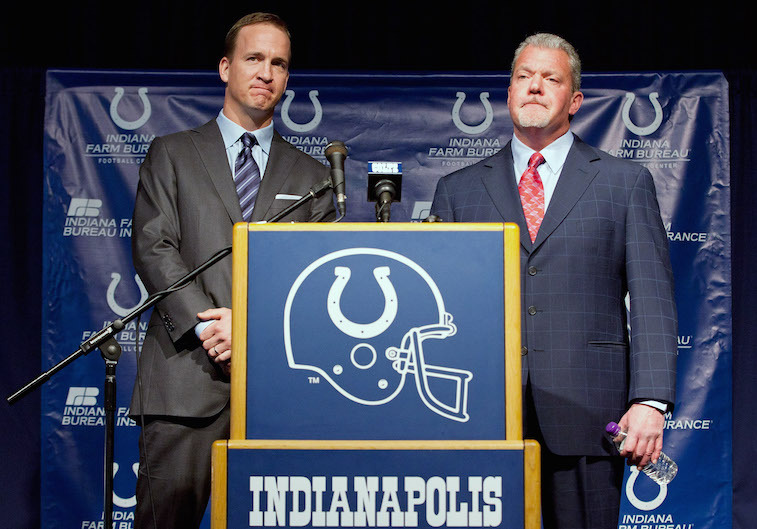 That didn’t stop Jim Irsay and the Colts from cutting Manning in 2012 after 14 seasons and one Super Bowl title in Indianapolis. While his release had more to do with the uncertainty surrounding his neck injury than anything else, Manning will still go down as the best player to have ever been cut in NFL history.